Book your private charter flight in South Africa, a multi-ethnic nation home to many of cultures, languages, religions, and some of the most popular destinations for private flights on the continent. ACA is available 24/7 for South Africa private jet charters, offering luxury and executive travelers around the clock service and private flights worldwide. Officially known as the Republic of South Africa (RSA), it’s the southernmost country on the African continent. Nearly 1,740 miles (2,798 km) of coastline runs along it’s southern border, stretching from the South Atlantic in the East, around to the Indian Ocean in the West. Charter the perfect private plane at the best price when you charter a private flight to/from Nigeria with our 24/7 air charter services. Our charter brokers connect executive and luxury travelers to thousands of planes for flights within the Middle East or to/from any destination worldwide. Enjoy the best private flights using ACA’s on-demand jet charter services. Hiring a private jet is the most comfortable, secure, and efficient way to travel to and from South Africa, a commonwealth nation home to the famous revolutionary, political leader, and philanthropist, Nelson Mandela. South Africa is also a great destination to start your journey throughout the region, although Namibia is an ideal place to start too if you’re planning a luxury safari. South Africa is more than just a base for your trip, rich in culture, history, and scenic landscapes, which are as diverse as it’s people & heritage. There are several several distinct ecosystems located across the land: safari destination Kruger National Park is located inland and full of big game; the Western Cape offers beaches; Stellenbosch and Paarl are home to lush wine vineyards; the Cape of Good Hope is marked by steep, rugged cliffs; the Garden Route is lined with forests and lagoons; and the famous city of Cape Town is located beneath the flat-topped Table Mountain. 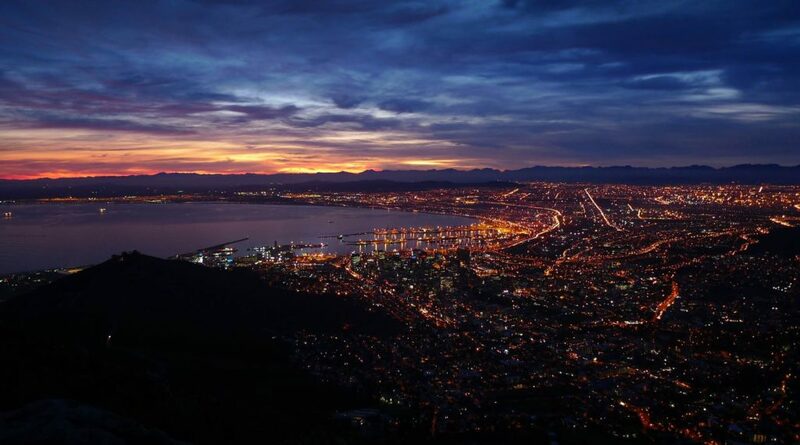 Located at southernmost point of Africa, it’s a sprawling country with a variety of landscapes, 11 officially recognized languages, and an equally diverse melting pot of people. The country is renowned for its wines, and as a world leader in gold production. As result, it has one of the strongest economies of all African nations, and is a major player in the African political sphere. In 2010, it was the site of the first FIFA World Cup to take place on the continent. In addition to its expansive coastline, neighboring countries to the north include Namibia, Botswana, and Zimbabwe, and to the east/northeast by Mozambique and Swaziland; the kingdom of Lesotho is entirely landlocked within South Africa’s borders. South Africa is home to nearly 56 million people, making it the 25th largest country in the world by population. About 80 percent of residents are of Sub-Saharan African descent, split by various ethnic groups who speak different languages, all of which originated in Africa, and 9 that carry official status out of 11 total. Since 1994, the country’s democracy has been represented by all ethnic and linguistic groups. The country’s multicultural diversity has earned it the nickname “The Rainbow Nation”, particularly in the wake of apartheid. The country classifies as a newly industrialized country with an upper-middle-income economy, and a newly industrialized country. Its home to the second-largest economy on the contintent, and 34th largest worldwide. However, despite its strong economy poverty and inequality remain a widespread problem, with nearly 25% unemployment and lower standard of living. Learn more about ACA private jet charter services in the following destinations. Request a Quote or give us a call at 1-888-987-5387 to speak with one of our private jet charter brokers for your next luxury vacation, business trip, or special event in South Africa.